You’ll find a thousand uses for this fashionable organizer, from the bathroom to the living room and beyond! 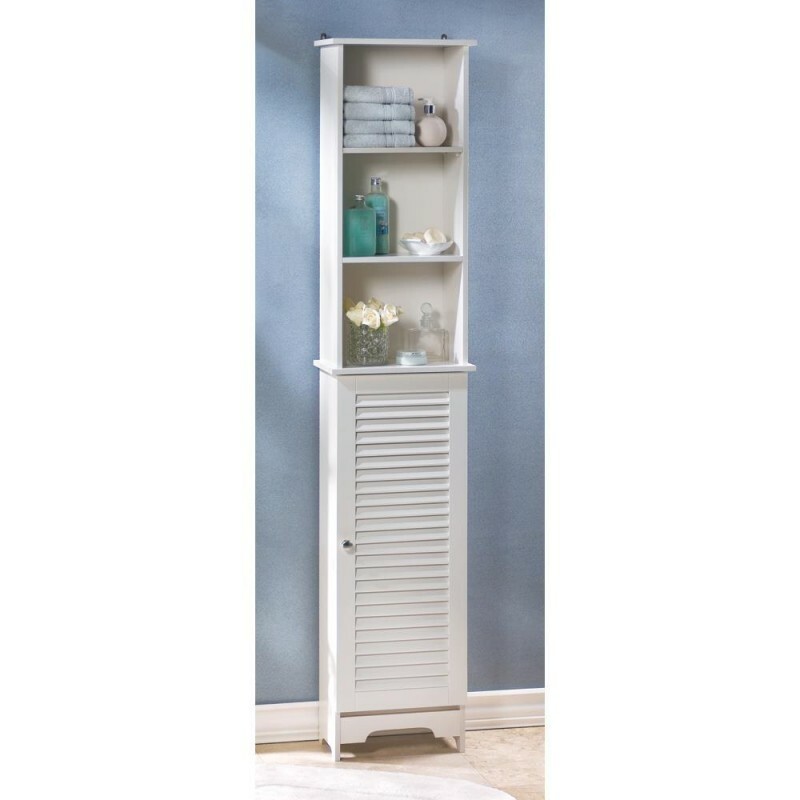 Sleek louvered styling and bright white finish let this handsome shelf brighten most any décor. 13½" x 8" x 65" high.